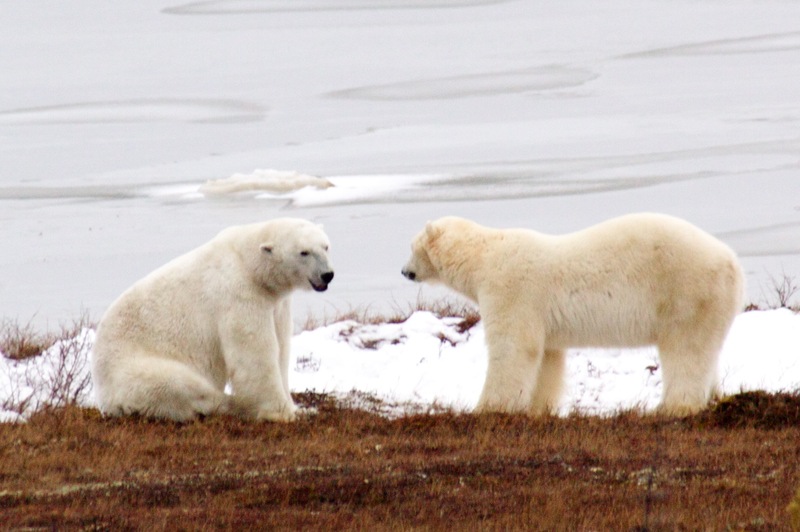 Who’s Protecting The Polar Bears? We woke up this morning to snow! 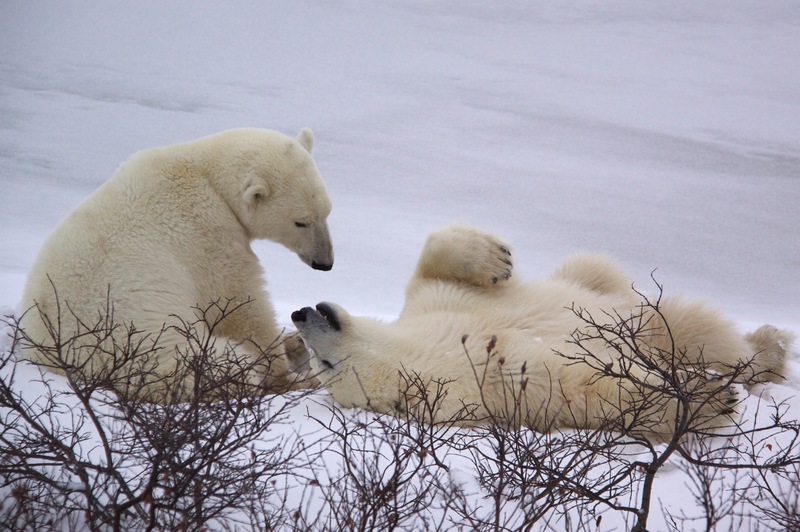 Considering we’re in the Arctic, that shouldn’t be surprising nor cause for celebration, but the weather has been unseasonably warm for this time of year and that’s not ideal for the bears, so dropping temperatures and snow are a welcome relief. 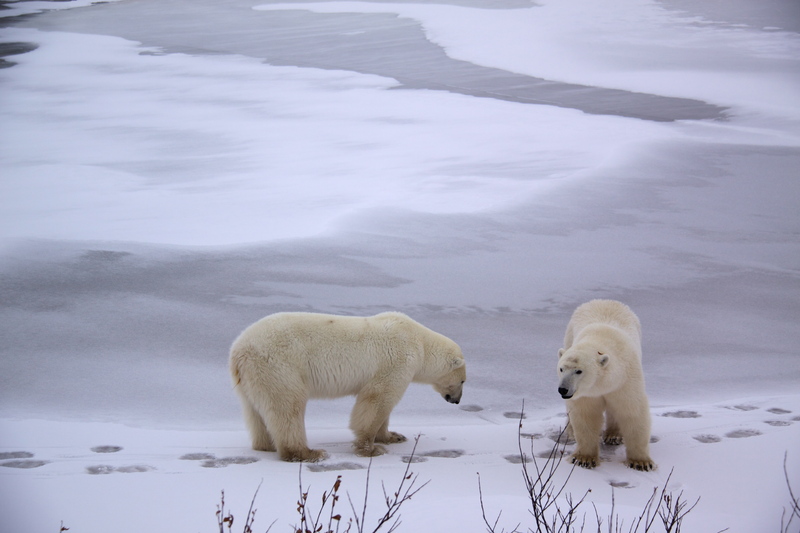 The longer it takes for the ice to freeze, the longer the bears must wait to get the nourishment they need for the coming year. Earlier today, I was told that a beluga whale washed ashore this summer and that several bears fed off the whale, so they are in better shape than usual for this time of year. That said, others are not faring well. 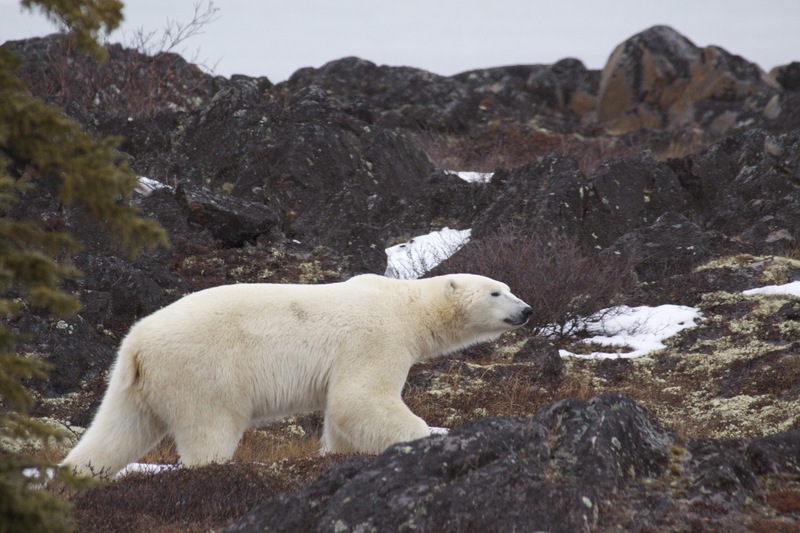 Depending on the length of time until the ice freezes, some bears won’t survive long enough to go out and hunt once the ice does freeze – the last time these bears ate was sometime early in the summer. 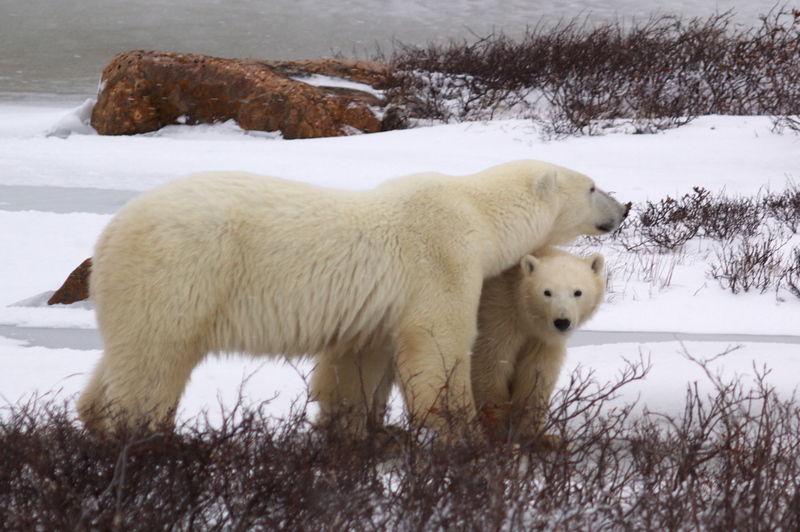 This delayed freeze also necessitates that smaller bears, moms and cubs stay a safe distance away from large male bears whom pose a threat of potential cannibalism. I’ve learned a lot during the past 2 days. Some of it fascinating, some of it disturbing, and much of it leaves me feeling conflicted. 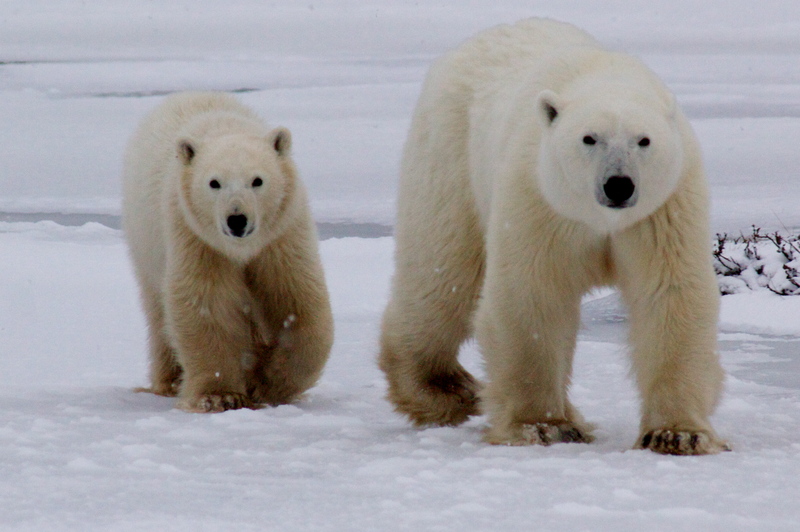 Polar bears have become the icon for climate change issues and I understand why. If you think they’re “cute” or otherwise spectacular in pictures, that’s nothing compared to how exquisite they are in person. 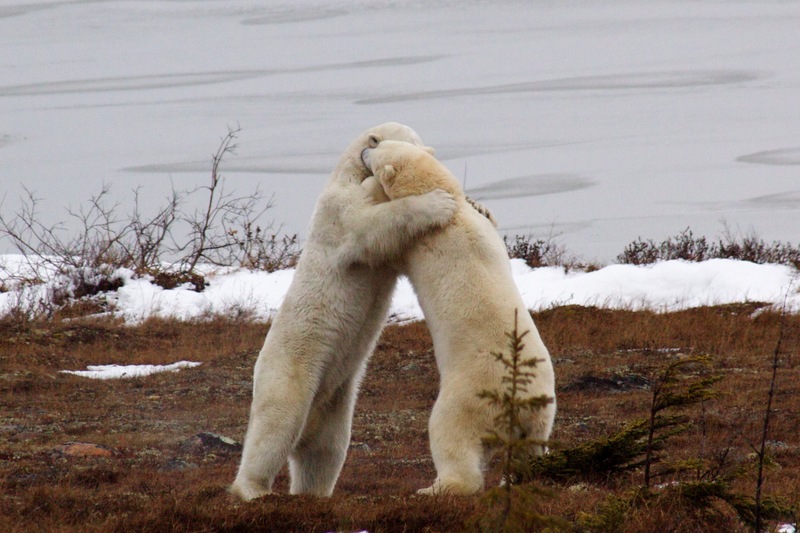 Polar bears are strong, powerful, playful, tender, clever, and brave. 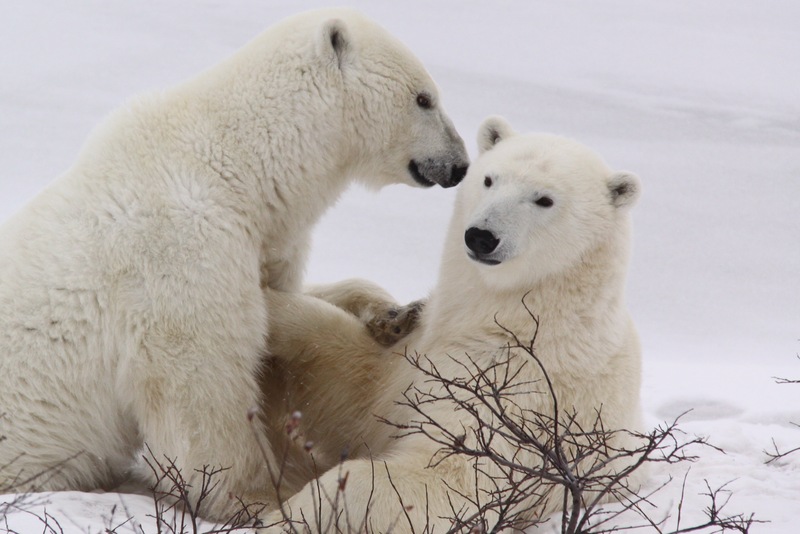 At the same time, polar bears are exceptionally vulnerable. 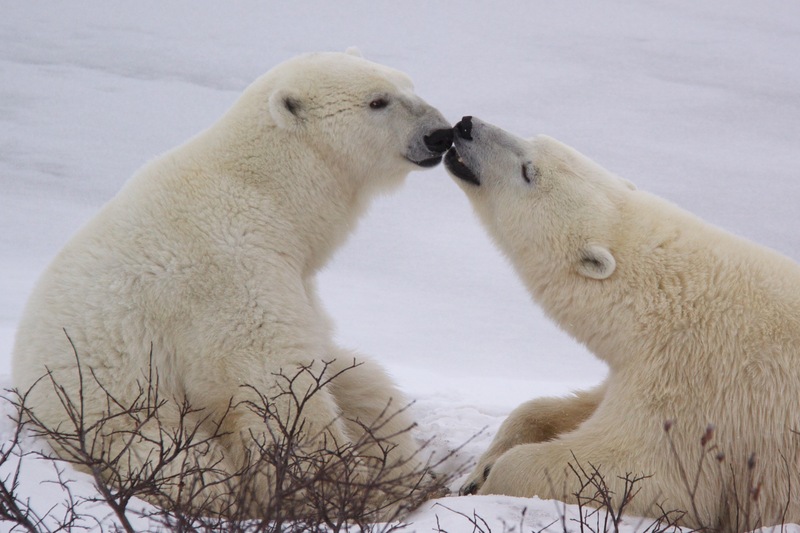 One “bad year” for polar bears can decrease their population significantly. 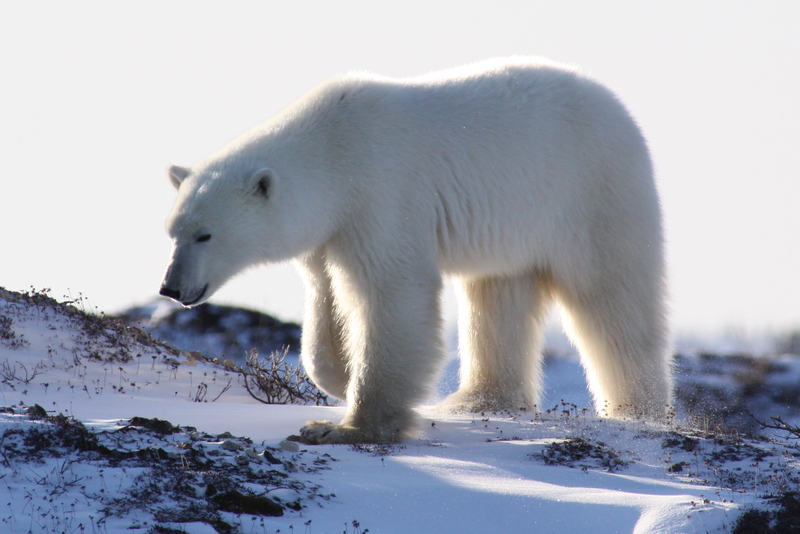 As it stands, the polar bear population is on a steady decline, even during “good years.” Some biologists estimate that, if things continue the way they’re going, we could have an ice-free Arctic within 40 years. In some Arctic regions, this could occur within the next 20 years. 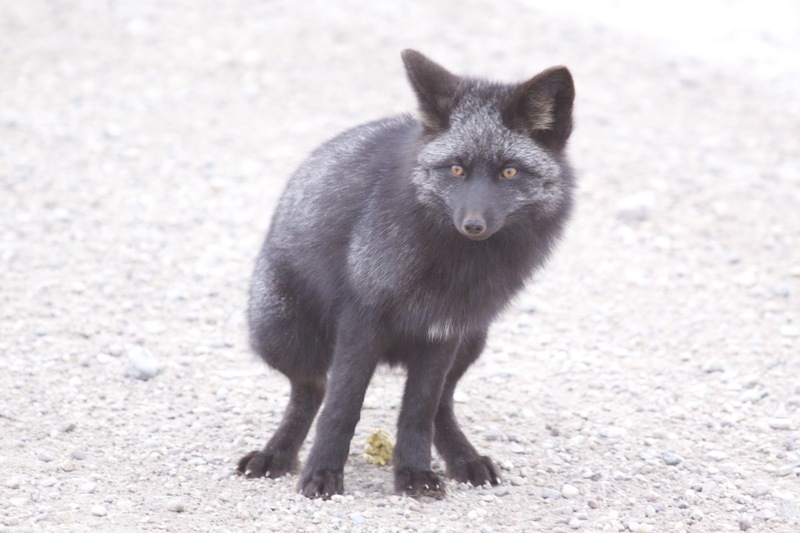 •	An obvious decline in 2010 population of Arctic Fox due to lack of food source (lemmings) this year. 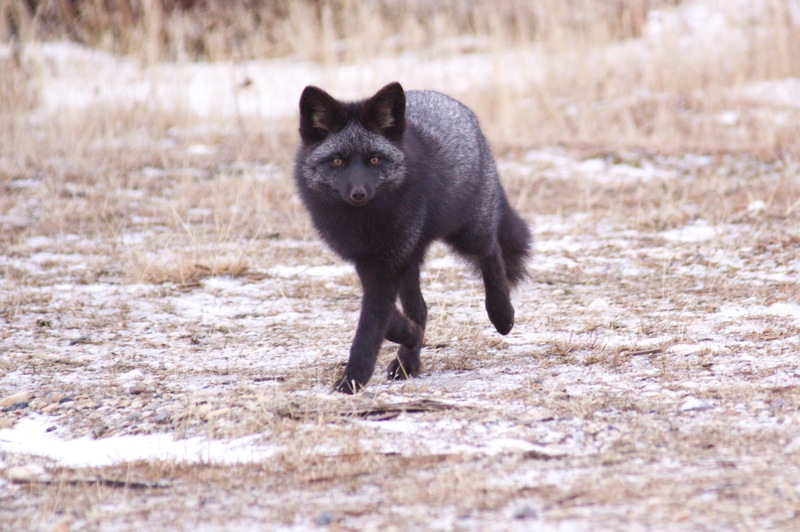 We haven’t seen any Arctic Fox this year. 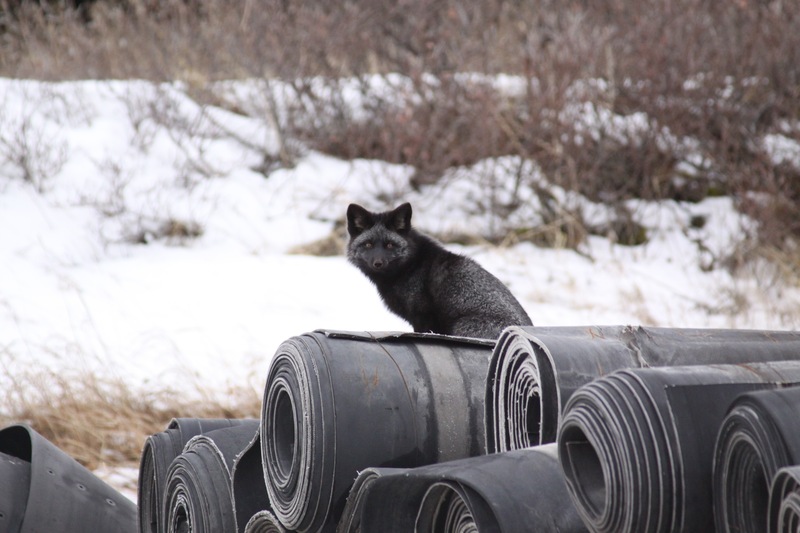 People who have been here all season say they’ve seen very few Arctic Fox. 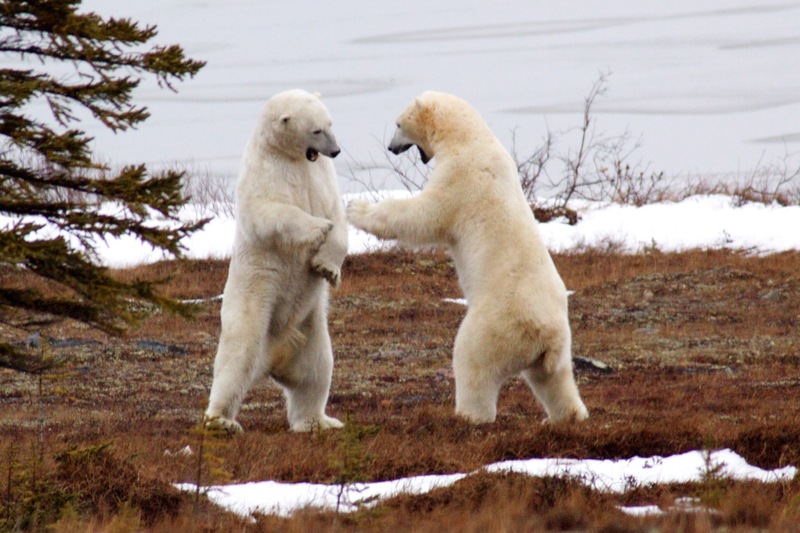 •	Bears with a lesser average weight than normal. Low body weight leads to population decline. i.e. Sows can’t get pregnant if they don’t weigh enough. 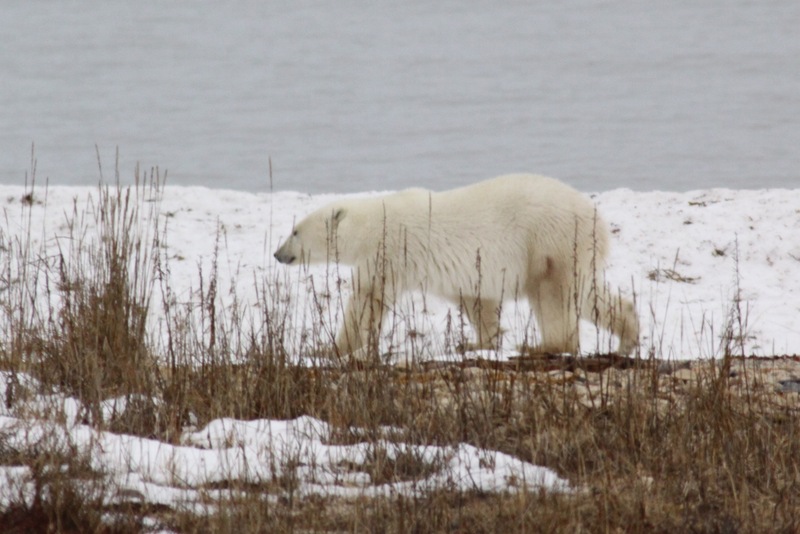 Being here in Churchill with the bears leaves me with the nagging question: Now that we’ve used polar bears to get people’s attention, who is protecting the bears? 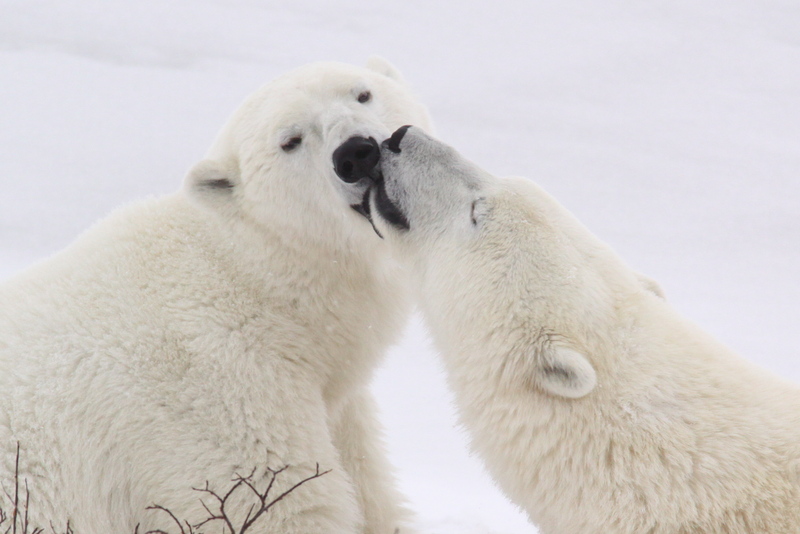 The gift Churchill provides is that it offers an opportunity for people to witness polar bears in their natural habitat. 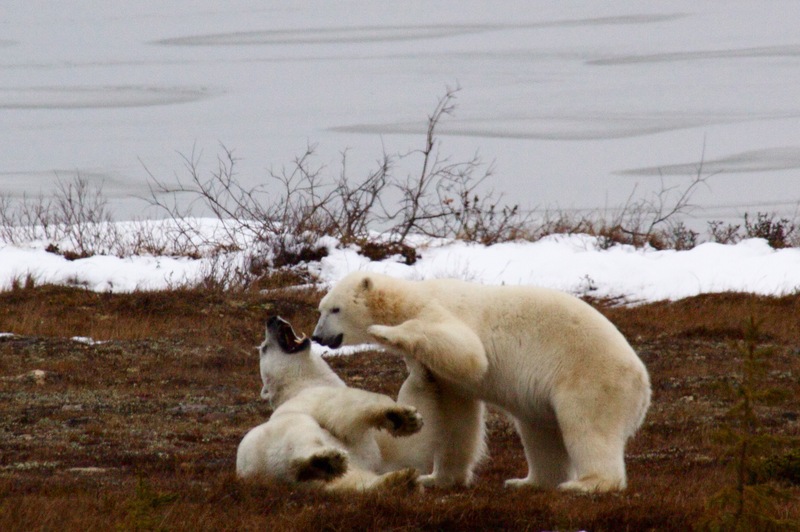 This is important because when people observe the polar bears of Churchill, they have a tendency to talk about it. 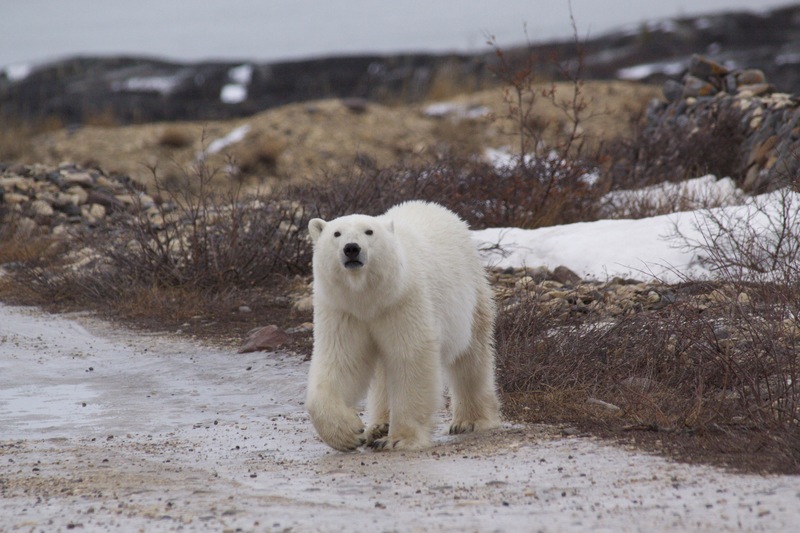 The messages and photos that reinforce the iconic use of the polar bear as a mascot for climate change are spread to mass consciousness as more and more people experience Churchill for themselves. The power of these conversations and the sharing of information and experiences among friends, colleagues, families, and media is undeniable. 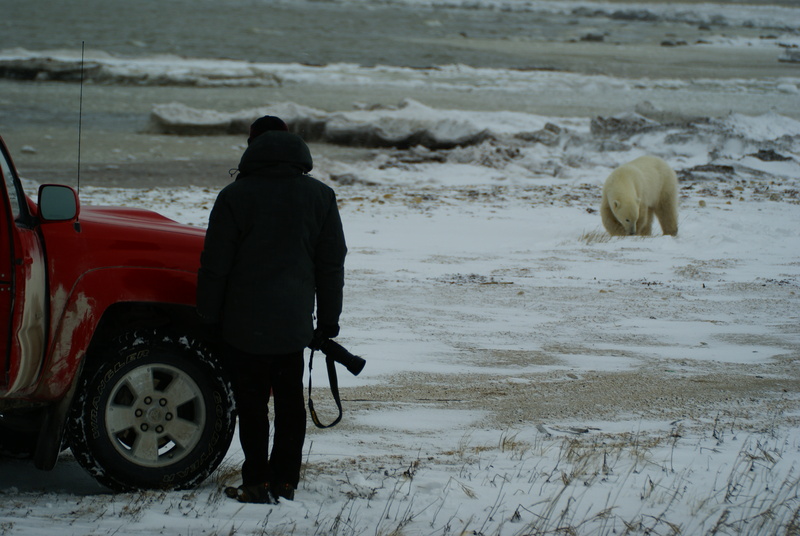 I began this blog 3 years ago precisely so I could document these experiences and I’ve already been interviewed by journalists and by an author of a forthcoming book about polar bears. •	Tourists clapping and yelling at bears to “get their attention” or try to get them to come closer. This is happening on guided tours, with guides who should educate rather than tolerate this. 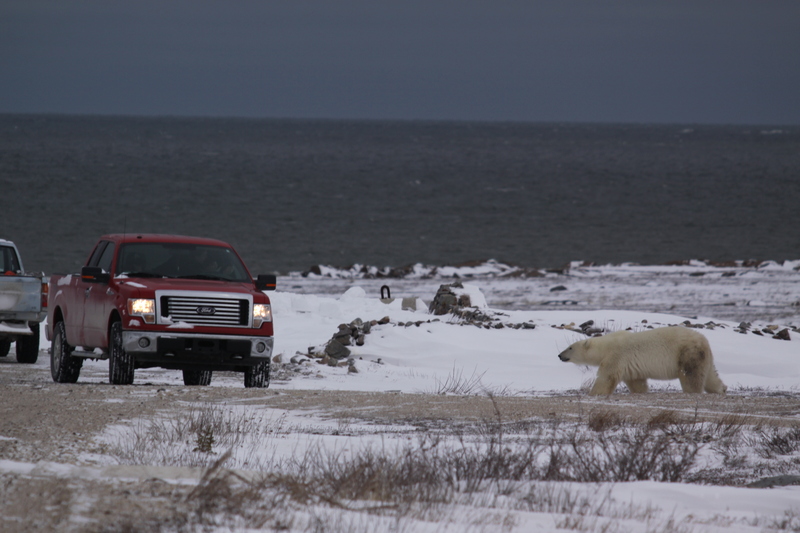 The bear viewing industry in Churchill is having an obvious impact on the bears. 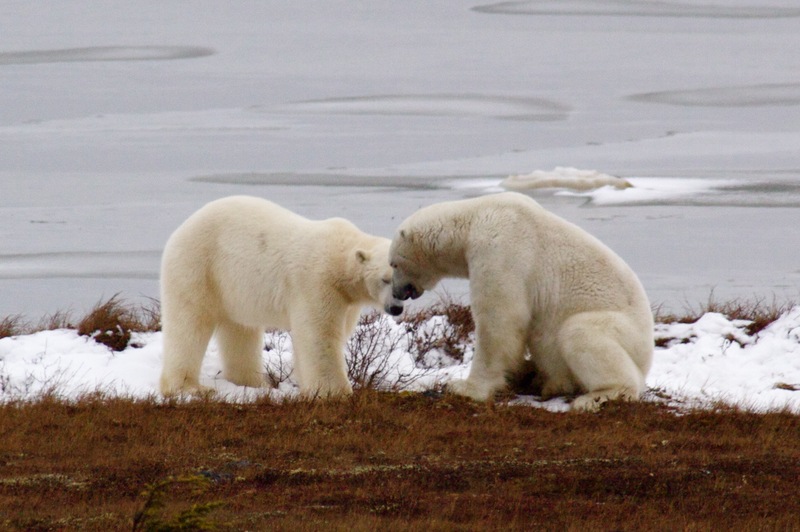 Is it possible for people to be in close proximity of bears, without impact? There are definitely examples, such as the managed wildlife program at McNeil River, where if there is an impact, it’s absolutely imperceptible. 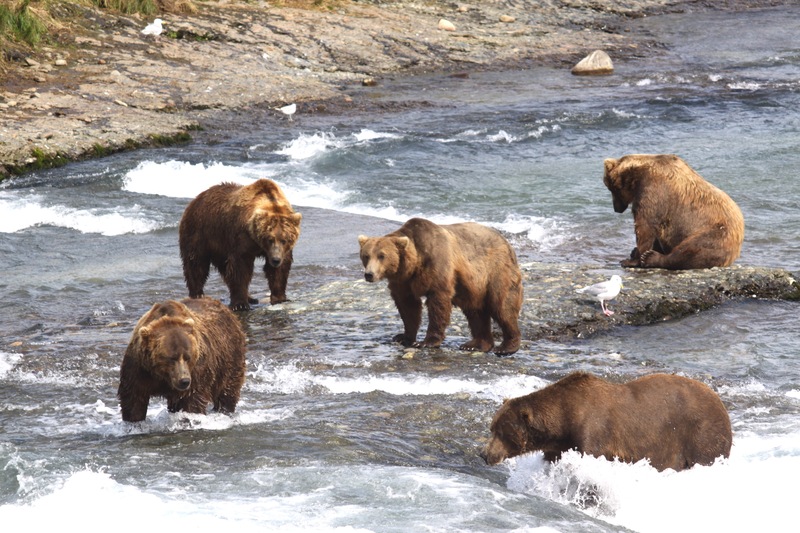 I was fortunate enough to win the McNeil lottery this year and was able to visit the park that has the highest concentration of brown bears in the world. 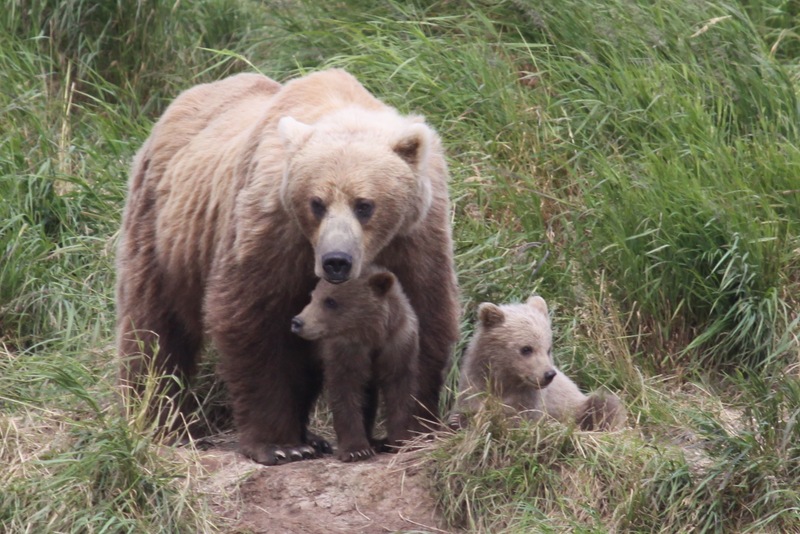 The program at McNeil River is highly managed, educates people thoroughly to ensure the bears do not experience any impact – positive/reward or negative/fear from visitors. You can only get into the program by winning a random lottery. 10 people are allowed into the park at a time, in 4-day sessions. In my opinion, McNeil River is the epitomizing example of peaceful co-existence between different species. I believe the keys to the success of this program are restricted access, education, consistency, and respect. I will write a separate story about McNeil River soon. Unfortunately, in Churchill, it’s likely too late for a program like the one at McNeil to be effective. 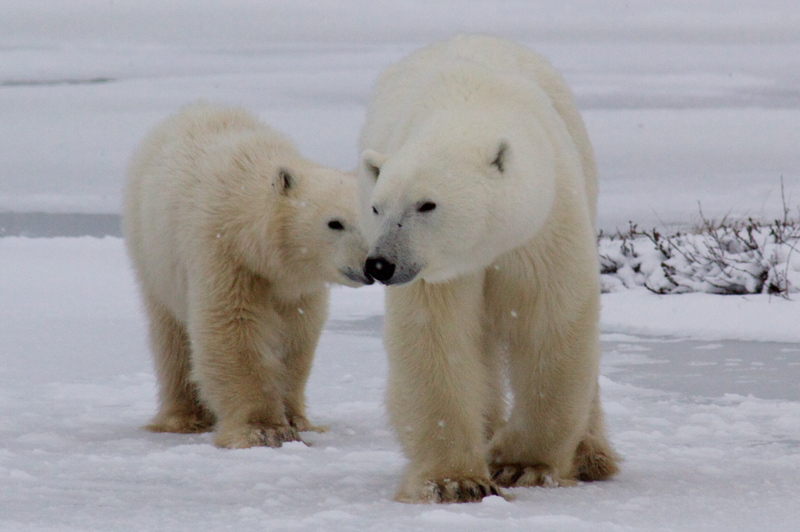 Churchill bears are already conditioned to the impact visitors have had on them over time. They associate people with food and fear – reward and punishment. The program at McNeil was established more than 30 years ago and has been in affect since the first day visitors were allowed in the park. 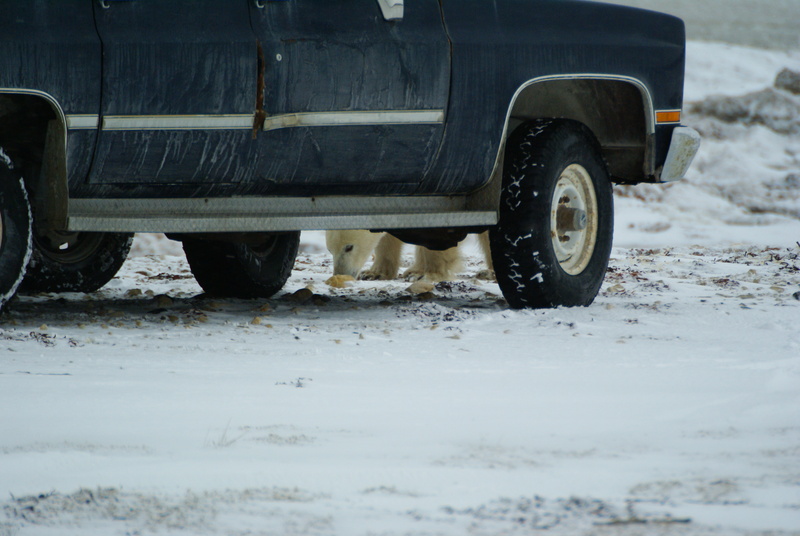 There are several things that should be done on a global level, as well as numerous things that can be done in Churchill to help protect the bears. There is certainly some legislation that could be instituted and enforced on a local level. However, Churchill is a very small town and there are a lot of politics involved within the community that make this a challenge. Tour operations should be better regulated, tour operators better informed. 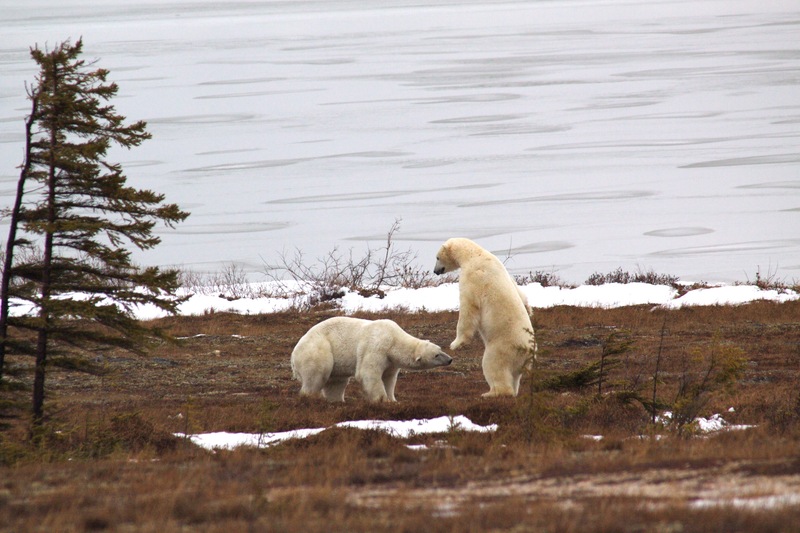 But, again – even the “best” tour groups in Churchill have illustrated some intentional negative impact on the bears. 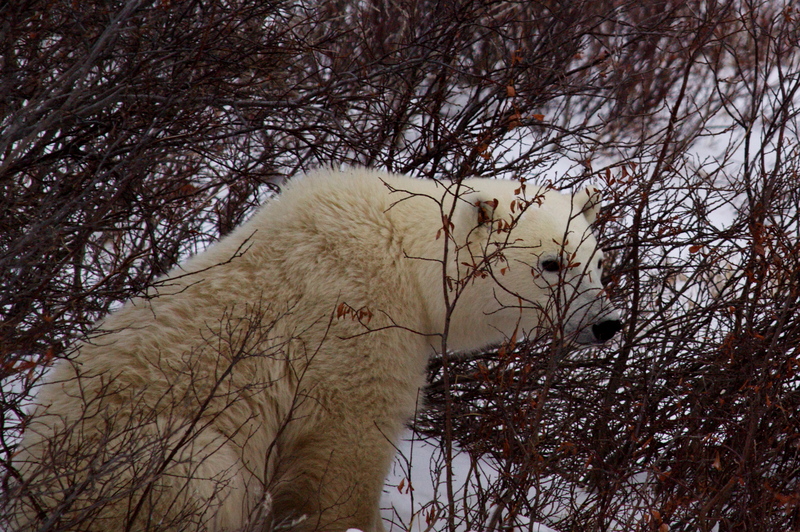 Plus, “polar bear tourism” is one of only 3 primary sources of revenue in the small town. Therefore, implementing anything that is perceived as a threat to the viability of the business, likely won’t pass. 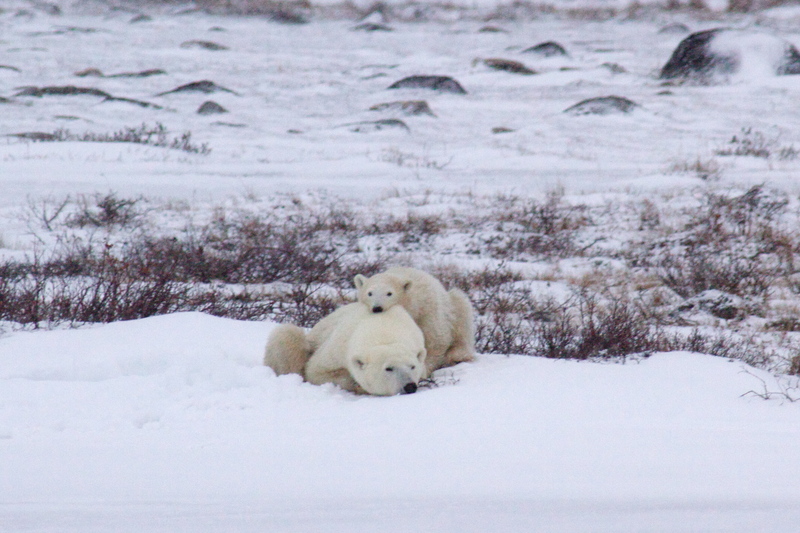 As a result, these operations are creating an additional threat to the viability of polar bears. There are plenty of people focusing on the “problems” and what we “can’t do.” So what can we do? I do not claim to be an expert on this – these are merely my recommendations based on what I’ve learned and my experiences in Churchill for the past 3 years. 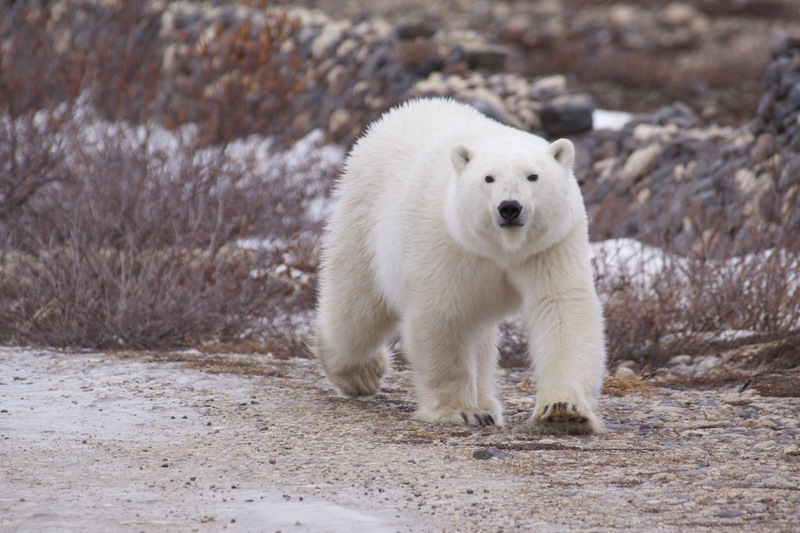 Consider traveling with either The Great Bear Foundation with Chuck Jonkel or Ursus International with Rupert Pilkington. 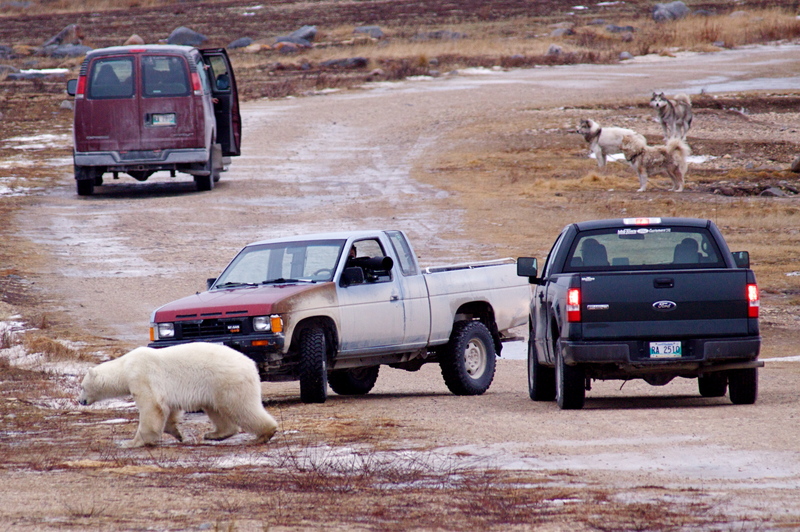 A lot of people come to Churchill on their own and arrange tours within Churchill themselves. From the math I’ve done, there doesn’t seem to be a financial benefit to this. More important, if you travel with one of these 2 organized groups, you are participating in an actual field course that includes education and experiential learning. What does this mean? 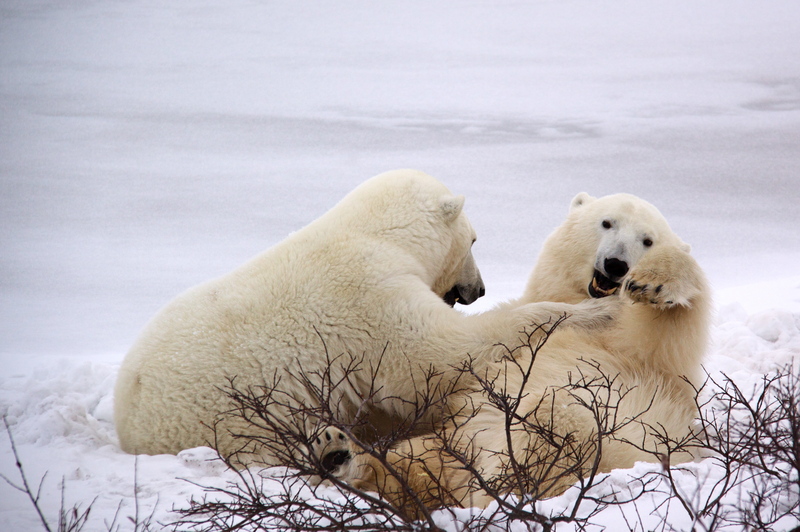 Well, instead of counting how many bears you saw, you’ll be learning about the behaviors of the bears you’ve witnessed, Arctic ecology, Inuit culture, and what you can do to help preserve Arctic ecology. If you see behavior that is harmful to the animals (i.e. 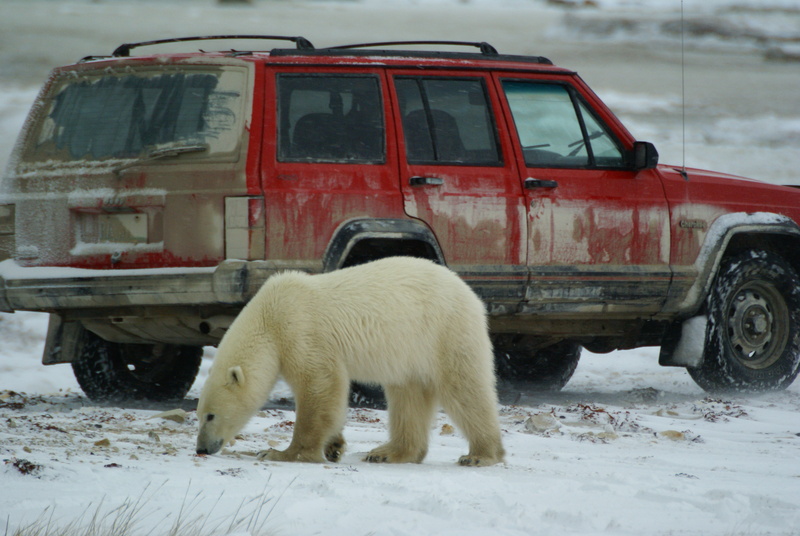 baiting bears with food, harassing bears with vehicles, speeding up or taking “short cuts” to see a bear by chasing after it on a tundra buggy, etc) or Arctic ecology (i.e. destroying the tundra by driving tundra buggies off established paths), DOCUMENT IT. Take pictures or video. You should try to report it to local authorities in Churchill, but don’t stop there. Take the story outside of Churchill. Global attention and support will likely be more effective in facilitating a positive change than keeping it local. 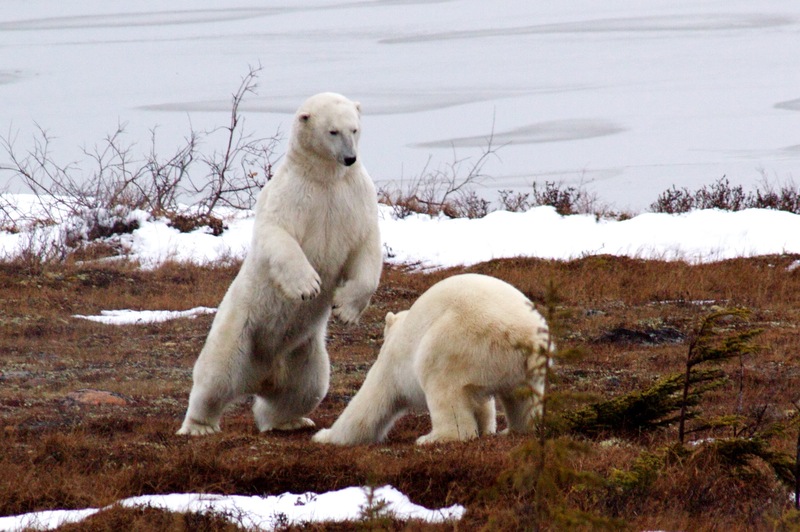 Tour operators want you to have a good time; they want you to see a lot of bears. 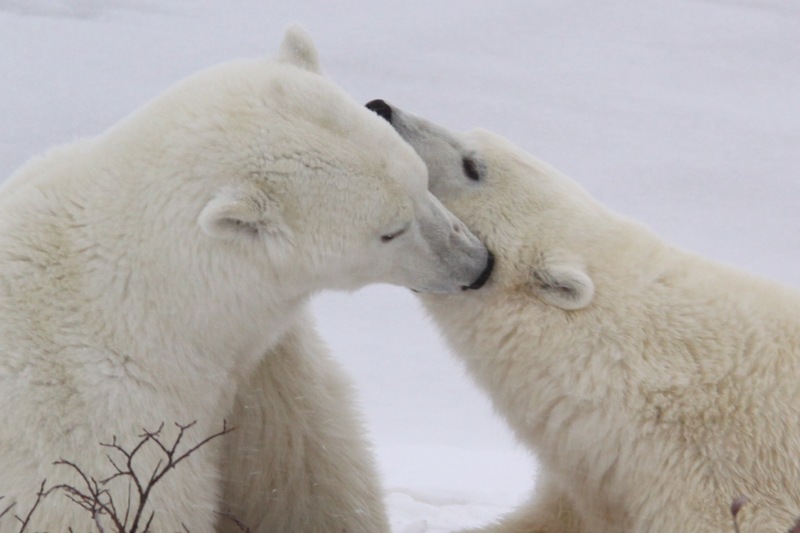 You will pay a considerable amount of money for this experience and it’s important that it doesn’t happen at the expense of the well-being of polar bears. 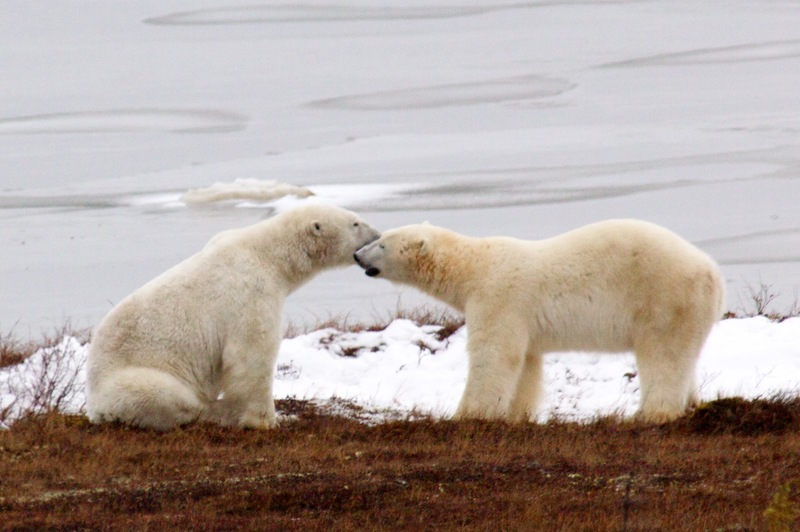 Come to Churchill to support them, not to participate in their demise. 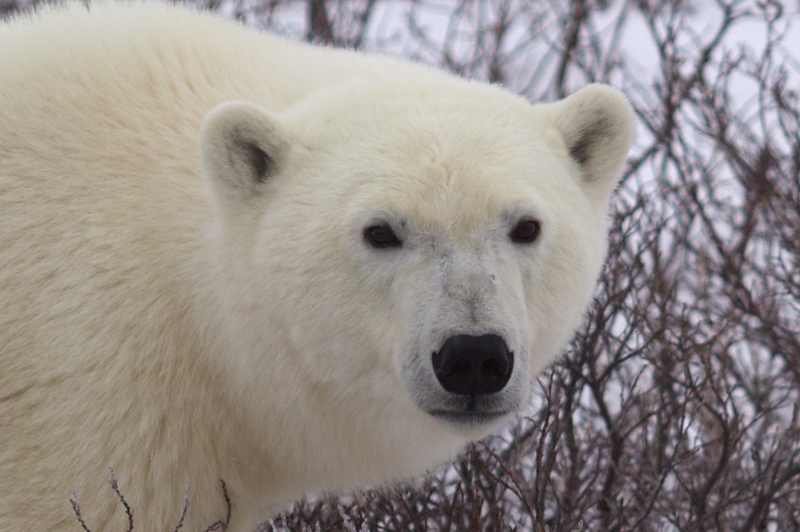 If you’re looking to support an organization that provides year-round education and implementation of programs that support and protect wildlife, I highly recommend Greatbear.org.